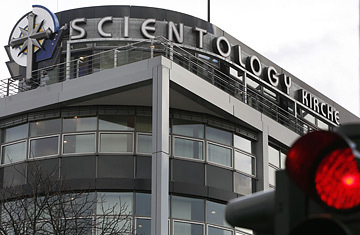 The interior ministers of Germany's 16 states have launched an investigation into the activities of the Church of Scientology, hoping to assemble evidence to support banning the U.S.-based organization from operating in Germany. But skeptics question whether such a move is politically and legally tenable  or wise. A similar move by state-level interior ministers in 1997 concluded in a report that "the Scientology organization, agenda and activities are marked by objectives that are fundamentally and permanently directed at abolishing the free democratic basic order" but that more time was needed to "conclusively evaluate" the group. In the intervening years, the Church of Scientology has continued to work in most of Germany's states. The new effort to close the group down may have been spurred by its raised profile in Germany over the past year. The opening of its headquarters in Berlin in January put the organization back into the headlines, and it became the center of a national furor over the summer, when the Defense Ministry initially barred access to a key filming location for a movie about anti-Nazi hero Claus Schenk von Stauffenberg, because the title role was played by high-profile Scientologist Tom Cruise. (Germany later relented). A spokesperson for Scientology in Germany denies that the group brainwashes members or has a political agenda. The effort to compile information toward a ban is simply a "waste of taxpayer euros," the spokesperson says. The new initiative requires Germany's intelligence agencies in each state to compile a dossier on Scientology activities that might violate the German constitution. Their report will probably be presented at the next meeting of interior ministers in the spring and then delivered to federal Interior Minister Wolfgang Schaeuble, who will have to decide whether or not to initiate a federal-level investigation. The Hamburg officials are hoping that in 2008 or 2009 a process will be initiated that will result in a federal ban on the organization, potentially freezing its assets and outlawing fundraising and recruitment  restrictions similar to those that apply to several neo-Nazi organizations. But German analysts as well as some government officials speaking on condition of anonymity doubt that the new effort will get very far. "It is not only unlikely; it won't happen," says an official familiar with the process. Having been alerted to the state-level investigations now under way, the Church of Scientology is likely to be extra careful not to transgress the law. "If you really want to do this kind of thing, you keep quiet. You don't announce that you are going to do it," says the official. Moreover, even if courts could uncover illegal behavior, it's a long step to banning the group altogether. "There are a lot of pedophiles in the Catholic Church, but no one is talking about outlawing" the church, notes Ulrich Battis, professor of constitutional law at Berlin's Humboldt University. And bringing the full weight of the federal government to bear on an organization that officials say has only 6,000 members in Germany would be seen as a disproportionate response given the political cost  Germany has already been criticized by the U.S. State Department for restrictions it places on Scientology. As an official puts it, "We have other things to worry about." Scientology's claim to be a church despite the German courts' ruling denying it such status could also cause problems for the government, as many Germans believe the question of what qualifies as a religion is a matter of personal conscience rather than government authority. Skeptics warn that taking steps to ban Scientology could backfire, either by driving members underground or by making them appear as victims of state persecution. The 1997 government probe prompted several Hollywood stars, including Dustin Hoffman and Goldie Hawn, to sign an advertisement printed in German newspapers comparing the move to the repression of Jews under Nazism. Writing in the Süddeutsche Zeitung, religion commentator Matthias Drobinski said that Scientology is actually in decline in Germany and that its gleaming new Berlin headquarters site is a "shimmering façade." Drobinsksi credited its decline to anti-Scientology monitoring and educational efforts by "the state, political parties, the established church and trade unions." Banning the group would simply give it an undeserved boost, he said, writing, "The demonization of the flagging troupe may only benefit one group  Scientology itself. " Still, the state interior ministers appear determined to press ahead, portraying themselves as protectors of their citizens from a "threat" and suggesting, in the words of one government statement, that Germany's Nazi past obliges the government "to monitor the development of any extreme groups within its borders  even when the group's members are small in number." Speaking to reporters last week, Ralf Stegner, the interior minister for the state of Schleswig-Holstein, called Scientology a "totalitarian" organization. "They want to break people's will," he said. "That's why we have to fight them." Federal Interior Minister Schaeuble, however, has yet to tip his hand on how he might respond to the states' initiative. His ministry has said that the group is unconstitutional, but in a statement Schaeuble himself said the best way to deal with the group was through "prevention and education." That suggests a legal ban on Scientology may not be imminent.